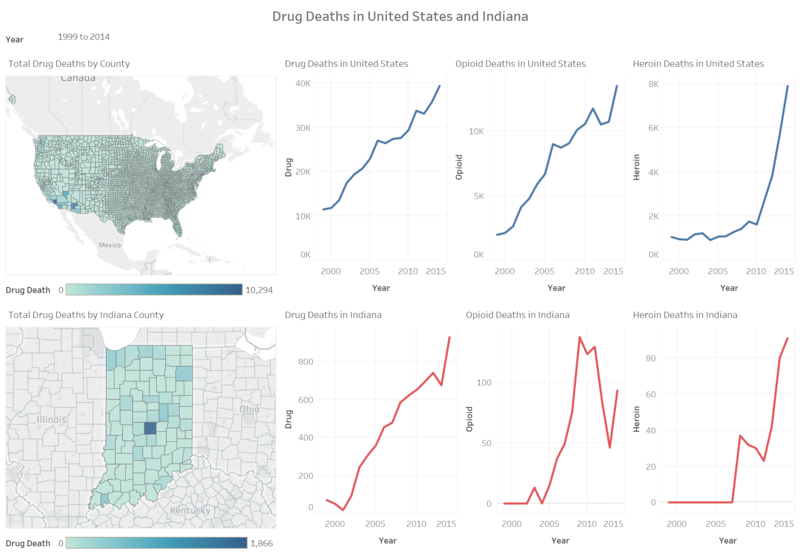 Jivitesh Poojary, Olga Scrivner, and Katy Börner present Reproducible Visual Analytics of Public Opioid Data, at Indy Big Data Visualization Challenge Indianapolis, IN. presented on September 14, 2017. Figure 1: Drug Deaths in United States and Indiana: As time progresses, the number of states as well as Indiana counties with higher cases of drug abuse become more prevalent. Figure 2: Substance Abuse Facilities: These facilities provide opioid dependent patients with a range of services, including withdrawal management, (detoxification), counseling, and the use of FDA-approved addiction pharmacotherapies (Report, 2016, p.69). 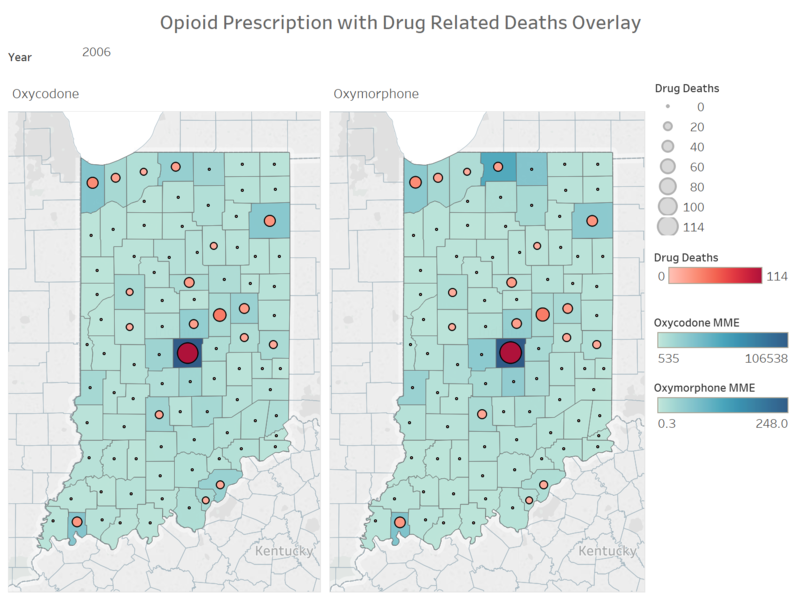 Figure 3: Opioid Prescription with Drug Related Deaths Overlay. Higher prescription rates seem to correlate with higher numbers of drug deaths.